End! Of! Summer!!!!!!!!! I rejoice. Summer is intense. And exhausting. And hot. There’s a lot I loved about this summer – it was a whirlwind of travel and human connection and bonding with the Farmily at dawn and dusk and under the stars, and midday work breaks under the trees, but I’m glad it’s in the rearview and that autumn is on the way. A week or two ago, when I noticed with wondrous relief that it was dark at 9pm, I wondered if the cottonwood trees feel this way, too, like, “I grew so much and contributed so much – beauty and shade and oxygen and habitat – and it’s been glorious, but now I’m glad that I get to slow down, and soon, soon, I’ll have a much-needed, very long nap.” And they let their leaves fall. 3M and Fiona’s calf are joined at the hip. They eat together, they run around together, they nap together, they play together. The cuteness is epic. They are both chubby and strong and healthy and happy. Fiona has done an amazing job. Daisy, Miss Daisy, Queen Daisy, Our Daisy is doing GREAT! I had my other vet come see her and he said that while she’s not going to live to nineteen, it’s just as likely that she has two years than six months. I’m holding on to that. I wish she would gain more weight more quickly, but other than that, she’s fantastic. She’s getting around perfectly well – leading the rest of the cows around the property and up the steep driveway and staying well in the lead – and she’s perky and bossy and as voracious as ever. She’s getting tons of love and literal tons of treats. I often go out and find her – to brush her and cuddle with her and take her treats – but sometimes I’ll open the front door and there she’ll be, waiting, looming silently, staring me right in the eyes, like she had been willing me to open the door, and her telepathic message is, “I’m ready for some treats right now.” Having her surprise me like that is always such a treat for me. Last month, I listened to and loved The Opposite of Fate by Amy Tan. It’s a book – memoir – surreal, true stories beautifully told. I’m a huge fangirl of Michael Pollan (author of The Omnivore’s Dilemma and numerous other books); he’s on my list of “if you could invite five people to a dinner party, who would they be?” people. I recently found this talk he gave – titled Deep Agriculture – and it’s just incredible. I listened to it and immediately listened to it a second time. It’s from nine years ago and does not feel dated in the least. It’s fascinating to listen to it in that context, yet everything he shares is just as as applicable today – arguably even more so. I highly recommend giving it your time. You can listen to it HERE. Have any recommendations? I’m always on the lookout for more podcasts. Leave ’em in the comment section, please and thank you! The Shop is back open and filled with treasure!!! Check it out before I decide to keep all the new jewelry for myself. I have many more beautiful adornments to photograph, they’ll be popping into the shop randomly over the next couple of weeks. I’m working on a new book proposal (!!!) so blogging will continue to be a bit sparse. 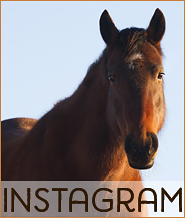 It’s easier for me to post photos and snippets on Instagram when I’m short on time, so you can check in on the Farmily on my Instagram page, even if you don’t have an account. The button in the sidebar will take you there too…. A week went by. A week of mornings and evenings that had lost their sparkle, that felt somber and empty. Star Baby no longer had adult cow companionship in the little corral. 3M, now orphaned, was often curled up by herself. Star Baby’s baby figured out how to get out of the corral and left whenever she wanted, to explore and play with the other calves, returning only for meals. She was also getting big enough to empty Star Baby’s udder by herself and there was less and less milk for 3M each passing day. I found where Star Baby’s baby was escaping and purposefully locked her out of the corral, blocking her return until Star Baby’s udder refilled and 3M had gotten first dibs. But when her calf showed up to eat and couldn’t get in the corral, Star Baby stood right next to the panels so her calf could nurse through the railings. As patient and generous as Star Baby had been for the past month – going into the head catch twice a day on cue, standing calmly while 3M nursed, never once kicking (unless 3M tried to nurse when Star Baby was out of the head catch) – her loyalty was to her calf and it always would be. From the start, I knew Star Baby would be a temporary wet nurse, that eventually, her own calf would get big enough and greedy enough to take all the milk she produced. This arrangement was reaching its expiration date. Meanwhile, Fiona still hadn’t calved. She was the only cow left to calve. A few days after 6 died, I was brushing Fiona and felt her calf moving inside her. A protruding lump rose in a gentle yet startling wave under my hand and disappeared. It was thrilling. But the only other time I’d felt a calf move in utero was with Roxy, and so even though my control group was exactly one, I was suddenly paranoid that Fiona’s calf would also be breech. Later that week, when Fiona was standing off by herself and I knew she would calve that day, I lured her into the front yard so I could watch her easily. Fiona went into labor a few hours later and when her water broke, I collected as much of her jelly-like amniotic fluid as I could and put it in the fridge. I had plans for it. I was overjoyed when her calf’s hooves emerged because they showed the calf was not breech. Everything about the delivery went smoothly and Fiona delivered her baby right in my lap – the second time she’s done this. Fiona and her calf spent the rest of the day and that night together in the yard. I wanted to be sure they bonded completely. The next day, I put a tiny calf halter on 3M and threw open the gates of the little corral so Star Baby could rejoin the herd and her wandering calf. Before she sauntered off, Star Baby approached me and licked my elbow. It was the most affection she’s ever shown a human. Then off she went, and I walked 3M to the yard to join Fiona and her newborn. Though 3M was a month older than Fiona’s calf, they were exactly the same size because 3M had been so small when she was born. I got the amniotic fluid from the fridge and poured it all over 3M and rubbed it into her coat in hopes of tricking Fiona. Cows know their calves by sight and sound but a key identifier is scent, and if 3M smelled like Fiona, perhaps Fiona would adopt her right away! I stood at Fiona’s flank and stroked the side of her udder. 3M galloped over and reached out with a tentative tongue. Fiona was not into it. She was not fooled by the amniotic goo bath I’d given 3M and she was not going to let 3M nurse, so I had to pull out the ol’ Maia trick and blindfold her. Mike and I stumbled onto this trick years ago out of sheer frustration with Maia (who is still a giant pain) and though we don’t use it often, it’s a brilliant, low-impact intervention. It’s easy, it’s temporary, it requires no equipment other than a jacket or flannel shirt, and it’s not traumatizing to the cow, as evidenced by their willingness to be blindfolded over and over and the fact that they chew their cud while blindfolded. Chewing cud is kind of like yawning – animals simply won’t do it if they’re in acute stress. I took off my coat and placed it over Fiona’s face and tied the arms loosely under her chin. Her nose remained exposed, and I stood between her head and 3M’s body so Fiona would smell mostly me while 3M went to town on Fiona’s decadent udder, feasting till she was about to burst. As Daisy’s daughter, Fiona makes a lot of milk. She has produced incrementally more milk with each passing year, which is a little weird, but perhaps has something to do with her being a dairy-angus cross. Last year, the volume of milk had been manageable for her calf, but barely. It had been almost too much for a single calf. This year, I knew she’d have enough milk for two calves. But I wasn’t sure if Fiona would ever fully adopt 3M the way Daisy has adopted second and third calves in years past. I had high hopes, especially since we were introducing 3M immediately after Fiona had calved. Still, I wanted 3M to learn how to get her own meals from Fiona without my help, in case Fiona never fully accepted her. Bovines have excellent memories and are brilliant at understanding patterns. I just had to show 3M the new routine a time or two for her to catch on – and not only catch on, but to start manipulating the situation in her favor. I set up a playpen of sorts using two panels and the natural curve of the wooden fence. I put Fiona’s calf in the playpen at night so he wouldn’t nurse early in the morning before I got up. In the morning, I put the blindfold on Fiona and let her calf out of the playpen. He ran to Fiona, and as soon as he latched on, I coaxed 3M to Fiona’s other side, and stood between her body and Fiona’s head. Fiona sniffed her calf and sniffed me and that satisfied her, and she stood calmly as both calves nursed. I repeated this in the evening – putting Fiona’s calf in the playpen for a few hours in the afternoon, and coordinating a mutual mealtime with 3M. 3M is scrappy and resourceful and strategic and determined and clever. She already knew that when I showed up, I was going to help her get a meal. Over the following days, as soon as I let Fiona’s calf out of the playpen, both calves ran to Fiona and latched on – one on each side. 3M soon figured out that if she snuck onto a teat when Fiona’s calf nursed in the middle of the day, she didn’t need me around at all. If Fiona balked, 3M moved to the same side as Fiona’s calf, with Fiona’s calf positioned between herself and Fiona’s head so Fiona couldn’t really tell she was there. One morning, I took Fiona’s blindfold off before the calves had finished their breakfast. Fiona arced her head to one side and sniffed her calf, and arced her head to the other side and sniffed 3M, then straightened her head to the front and began chewing her cud – the universal cow sign that all is well and there’s nothing to stress about. The next morning, I put the blindfold on, the calves ran to Fiona and latched on, and I removed the blindfold a mere thirty seconds later. Fiona looked left, looked right, looked front, and chewed her cud. After that, I stopped putting Fiona’s calf in the playpen at all. And when I went outside, I’d often find all three together, both calves nursing, Fiona standing peacefully. One day, I went outside and found Fiona licking 3M, just as she does with her own calf, just like 6 used to do. When I saw Fiona licking 3M, I knew they were a family. 3M and Fiona’s calf are still exactly the same size, and they race around the yard together and buck and play. If you didn’t know the whole story, you’d think Fiona had twins. But you know the whole story: the long and winding and beautiful and tragic and truly magical story of 3M. After she grazed my garden, after the corral dried out, we moved 6 back to the corral because we were afraid she might lie down between the raised beds and get stuck. We wanted her to be comfortable and we wanted her to be safe and we wanted her to be with 3M. Sitting in the mud and the rain with 6, I had begged her to “don’t die yet.” Yet. Yet. I knew it was coming. We all knew it was coming. 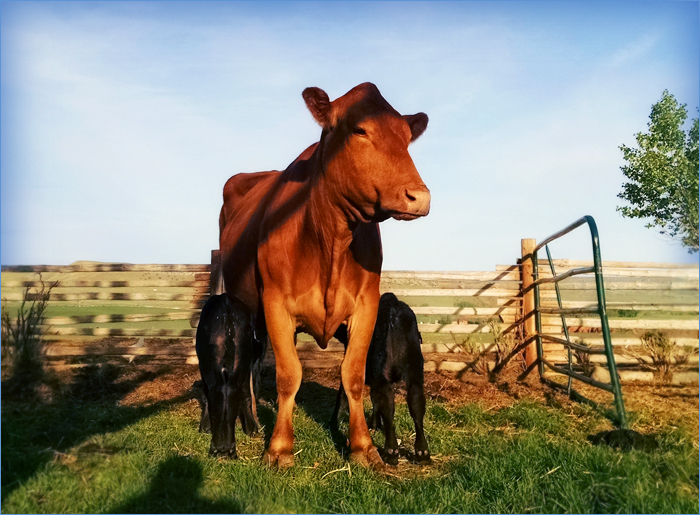 She created her perfect baby calf and she delivered her calf safely into the world and then she started declining. The day after she calved, it was as if she took a deep breath, thought to herself, “I did it,” and let go. She got visibly thinner daily, and she was already so thin. She got visibly weaker daily, and she was already so weak. 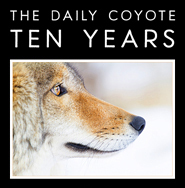 By the end of April, when she started having trouble getting up (even when rainstorms and mud were not part of the equation), there was no denying it was just a matter of time, a daily countdown, a waiting game. Except it wasn’t a game. When she couldn’t get up at all, we carried water to her in a five gallon bucket. We brought her hay. We gave her everything we could – water, food, assistance, peace, space, gratitude. 3M slept beside her, or stood at her head while 6 licked her from where she lay. 3M still scampered back to 6 after getting her meals from Star Baby, and 6 licked her slowly and methodically from chin to hock as she’d done since their first hour together. These two together… 3M, content and carefree. 6, stoic and doting. She died in the night. A warm, calm night with moonlight. Mike took her body away at dawn, so when I went out to do my morning chores with the corral crew, 6 was gone. I put Star Baby in the head catch and fed her treats while 3M nursed, and 6 wasn’t there and she wouldn’t be there ever again. The corral seemed so much emptier without her presence. 3M finished her morning meal and 6 wasn’t there to lick her as she always had. I grabbed a curry comb and brushed 3M’s little body – her forehead, her cheeks, her neck, her chest, her back, her sides, her flanks, her belly. She stood with her eyes half closed and leaned against me as I brushed her. From that morning on, I brushed 3M after every meal. This was a hard one for me. They’re all hard – every death on the ranch is hard. This one was intense and lingering. Sadness stuck to me. I was sad for 6, I was sad for 3M, I was sad for the abrupt ending to our beautiful routine (which was never going to last forever, even if 6 had lived), I was sad because Death changes everything with its dark alchemy. My frustration and confusion resurfaced as it does with every death – frustration that death is part of the deal at all, confusion over why it was designed that way. 6 had the best life of any cow – she was granted care and independence and safety and respect from the first day of her life to the last. And hers was the best death any of us could hope for – peacefully at home, surrounded by kin, knowing her baby was going to be cared for after she was gone. How many cows get to die of old age? I can tell you it’s way, way less than 1%. I joke with Mike that we work so hard every day for so little money, but our cows are the 1% of cows. Everything is temporary. I knew this. 6 was dying from the day she gave birth. I knew this. 3M was born on April 13th; 6 died on May 3. Twenty days. Those magic mornings and evenings lasted for twenty days. The motley cow crew in the little corral were together for twenty days. 3M was twenty days old when she lost her mother. It was only twenty days. I was in awe of the time we had together, that little pocket of time and togetherness and cooperation and appreciation and being. The grace of that time. The grace of 6. Up next: The Finale. Miracles and synchronicity have been part of The Long and Winding and Beautiful and Tragic Story of 3M since the very beginning, and one more is coming up. I’m reluctant to call it a happy ending because that seems a little dismissive of and disrespectful to 6, plus I don’t think life is about happy endings. I think it’s about happy, wondrous moments in between devastating moments in between tedious moments in between scary moments in between thrilling moments and, if we’re lucky, a whole lot of love swirled into all of it. In such a spiral, where is the ending? Rain. Our single, four letter word for ‘water falling from the sky’ is grossly inadequate. There should be more words. Seattle rain and Wyoming rain are as related and dissimilar as chihuahua and wolf. Wyoming rain is the wolf. It can appear, seemingly from out of nowhere, and surprise you dangerously. It can be terrifyingly violent. Despite this, people tend to react to it with uncontrollable reverence. For without rain, there is no grass. When it rains in Wyoming, it’s like a giant barrel being dumped out from the heavens. It’s like a blizzard with water in its liquid state. Wyoming rain comes down hard and fast, each raindrop as long and thick as your finger. The clay-laden earth can’t handle such deluge, and so the water stands in enormous puddles, runs rapids down the driveway, and the top six inches of ground becomes sticky, slicky gumbo – clay mud that can eat shoes and is nearly as treacherous as ice. The first time I lost control of my Bronco was not on ice, but in Wyoming mud. Still, these torrential downpours don’t fill water troughs for the cows – that was my job. And calves are hungry no matter the weather, and 3M needed my help with Star Baby. Mike had left, and when I finished my coffee, I put on my ankle-length snow skirt which I hadn’t touched since deep winter and a rain slicker with a hood and my Muck boots (every day, my muck boots) and slopped out to 6 and 3M and Star Baby and her calf. My trudging turned to sprinting when I saw 6 was down and thrashing. She was lying on her side in the mud, legs splayed and kicking the air. When I reached her, I was horrified to see she had gotten her head stuck under the bottom rail of one of the corral panels. She was writhing and flailing and frothing at the mouth. She’d been trying to rescue herself for a while – who knows how long. I splashed to the barn and grabbed a lariat (aka a stiff lasso rope, which neither Mike nor I know how use in the way it’s intended), got the loop around her neck, and pushed it as far down as I could, down to the thick base of her neck where it meets her chest and shoulders. I heaved and pulled with all my might and managed to slide 6 away from the panel and free her head. The slipperiness of the mud is the only reason I was able to do this – even old and frail, she still weighed in at close to a thousand pounds. She immediately began struggling to stand, but she couldn’t. When a cow gets up, she rocks a little to launch herself up and onto her feet. Imagine getting yourself out of an oversized plush chair – you’d rock back a little, then push yourself forward and out with the extra momentum. Cows do exactly this when they stand up. And cows can kill themselves trying to get up when they’re stuck – if they’re mired in mud, if they’re up against a wall without enough room to rock back and forth onto their feet. They will try over and over and over until they die of exhaustion. Before we moved the head catch up to the new barn, I had it in the corner of Daisy’s little milking barn where Frisco spent the last weeks of his life. The head catch was set two feet from the back wall, bolted to posts six inches in diameter that were set two feet in the ground. On one of my countless trips to the barn when I was caring for Frisco, I found him on the ground, kicking and rocking next to the head catch. He had laid down so close to the head catch that he couldn’t get up – there wasn’t enough room for him to get enough momentum to stand up. When I found him, he was drenched in sweat from trying. Mike was two hours away, so I found a crowbar and a giant wrench and dismantled the iron panels of the head catch as quickly as I could and (thanks to adrenaline) moved them out of the way. Frisco was then able to stand up and take a long drink of water. 6 must have laid down under the small awning of the barn where the dirt gently slopes away from the wall – as dry a place as possible, but on such a day, with sideways rain, not dry at all. The degree of the decline is an unremarkable grade, not something I ever really noticed, not something that would adversely affect any other cow, perhaps not even 6 on any other day. But this day, the slope had been perilous. Either because of the direction she chose to lay down, or because she slid a little when she first tried to get up, 6 was positioned so that her body and head were downhill from her legs and hooves. She not only had to rock, she had to rock uphill. 6 was already weak because she was so old – for the past few days, she had been having some trouble rocking up to standing even when it was dry and perfectly flat. To fight against gravity, too? And the mud, too? She couldn’t do it. And as she struggled, she slid closer to the corral panel, and when she tired, she lay her head on the ground, and this is how she ended up with her head under the railing. After I swiveled her around and freed her head, I tried to help 6 sit up with her head up, but she was too weak and exhausted to hold it up. She just kept thrashing around on the ground. There was already a raw patch of skin on her bottom shoulder where she had worn all the hair off in her struggles. So I did the only thing I could: I sat beside her with my hands on her head and face. As long as I was touching her, she lay still. I didn’t dare run back to the house to get my phone to call Mike – when I moved away from her, 6 started convulsing in attempts to get up and I didn’t know how much longer she could fight before expiring. I wasn’t willing to risk it. So I stayed with her in the mud in the pouring rain, waiting for Mike to return. I sobbed hysterically and talked to her through the downpour. “Don’t die. Not now. Not today. Not in the rain. Don’t die yet, don’t do it, please….” Her eye, the one I could see, was wild. It bulged out and then sank into her skull and I was sure she was going to perish in the storm as I pet her cheek. When Mike got home, he found us in the mud and quickly rearranged a few of the panels between the corral and my garden. My garden stretches out from the chicken house and is right next to the panel corral we made for 3M & Co in front of the barn. It, too, is surrounded by panels because I haven’t had time to build a proper wooden fence around it. Once Mike opened up a passageway between the two, he grabbed one of 6’s hind legs and I pushed her shoulders and together, we slid 6 out of the corral and into my garden. We got her to a level grassy patch and we got her sitting up – lying down but with her head up. She seemed relieved. The only question was whether 6 could get up at all. Would she ever get up again? After taking care of 3M and Star Baby, who had been huddled in the rain but were perfectly fine, Mike and I returned to the house. I escaped to a hot shower. The rain traveled past us and the sun came out. I nervously peeked out the door at 6 in my garden and she was up! She was standing! She was peacefully grazing the luscious, rogue grass that was already six inches tall between my raised beds. She moved delicately enough that I wasn’t worried about her destroying my garden the way another cow would – she could stay in my garden as long as she liked! She nipped down all the grass and didn’t even touch my raspberries. I’ve been writing The Long & Winding & Beautiful and Tragic Story of 3M for a few reasons. One: to share, pure and simple. Two: to get this story on paper and out of my brain, because it’s something I want to hold on to. Three: because I need your help, or advice, or ideas, or perspective. Here’s the thing: all the characters in this beautiful true story are Angus cows and calves – that is to say, beef cows and calves. You care about them. I care about them. 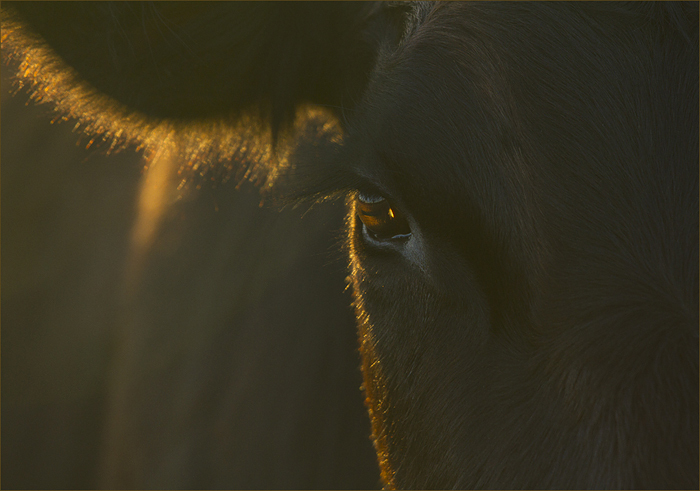 My hope, my wish, my dream, is that the general population, society at large, comes to care about the animals that produce and become our food (and our pets’ food) the way that you and I care about the cows in The Story of 3M. Because all of the animals that produce and become our food (and our pets’ food) are individuals with personalities as vast and endearing as the animals I write about. Every single one. If I hadn’t bought Daisy when I did and if she had stayed at the dairy for seven months longer than she did, Frisco would have been veal. Our conventional food system, the way it is currently arranged, does not treat animals very well. The environment is often treated poorly, too. How do we change the status quo? The answer is not as simple as “everyone should be vegan.” That’s not realistic, as many bodies do not thrive without meat, myself included, (and not for lack of trying). I’ve also come to the conclusion that, for me, eating organic, grass-finished beef is more ecologically responsible than getting the bulk of my protein from plants. Defending Beef (written by a vegetarian environmental lawyer) explains in depth the restorative effects of grazing animals and the detrimental effects of cultivated crops on climate change, sequestering carbon, and preserving topsoil, which is why I feel this book is an important read for everyone, not just meat eaters. I love cows, I eat meat, I raise beef cattle, and I sell meat to other people who eat meat. I have been called a hypocrite murderer via email more times than I can count. I don’t see myself or my work that way – I see it exactly the opposite and have written about that here. And as I stated in that post, none of this is easy. I’m not doing it for “easy.” I’m doing it to change the world. And sometimes it feels so impossible, the necessary shifts insurmountable. And so I tell myself that even if I don’t change the world, I can change the lives of some animals by keeping them out of the feedlot system, and of my customers by providing them with extraordinary, healthy meat that is aligned with their values, and that these small changes matter. Strangely, even when it feels impossible, I can see my dream of the future so clearly… the solutions, the big picture, the potential! I can see it all spread out in front of us, as clear and distant as the view of Earth from the window of an airplane. I’m reading a book called Emergent Strategy by Adrienne Maree Brown and I’m in love with it – this book gives me hope and determination. Full book report coming when I finish it, but for now: emergent strategy is “strategy for building complex patterns and systems of change through relatively small interactions….” Wow. Yes. This blog post is a relatively small interaction. What might it do? What mycelienic network is it part of and how will that network expand? Star Brand Beef is a relatively small interaction, a microbusiness. I started it and continue it because it’s an alternative to the status quo and if the status quo is going to change, alternatives must be available. And a network of people – my incredible, creative customers and supporters of this work – keep it alive, keep it evolving. I could not do it on my own. I learned quickly that I need to completely clear my schedule during the weeks I take my steers to transition from living beings to nourishing food. It’s hard. It’s intense. I still cry and I know I always will. I thank the animals – I wrap them in layers upon layers of prayers of gratitude – not just from me but from every one of my customers who will be sustained by them for the coming year. And all year long, after every burger, every steak, I say “holy wow, Star Brand Beef is the best!” And I say thanks to the animals again. I was talking to my mom the other night (I’ve turned her on to keto) and she mentioned how much she likes chicken. And when I asked her where she bought her chicken, she said ‘the store’ and when I asked her about the kind of chicken, the life and backstory of the chicken she bought and ate, she said she didn’t know, that she never really thought about it. And I gave her my schpeal about the inhumane treatment commercially-farmed chickens endure before they become grocery store chicken, and how, on the flip side, she could have an incredible impact on the life of an indie chicken farmer if she went to the farmers market or read the local classifieds and found someone raising pastured chickens, someone who cared for and respected their chickens and raised them in a way that served the planet and honored the birds. “You will make a difference,” I told her, “to that chicken farmer and to every single chicken you eat.” And part of me was screaming inside because why did I have to spell this out for her? She sees what I go through with Star Brand Beef, has heard my passionate rants against factory farms and the inhumane treatment of animals and earth. And I wonder how often she’ll consider this going forward. Sometimes, maybe? Will she think about it every time she eats chicken? Pastured, humanely-raised meat (be it beef, pork, or fowl) is more expensive than factory farmed meat. This is because doing right by the animals and by Mother Earth takes more time and effort and care and money and space. But what is of greater value than healthy, nourishing food that was raised ethically, prioritizing the sustainability of agricultural practices, the well-being of the animals, the environmental impact? It SHOULD cost more. This idea that food should be the cheapest thing we spend our money on is the dark side of capitalism: the system has been rigged to train us to buy cheap food so we have money left over to spend on more clothes and knick knacks than we need, often made by cheap, exploitative labor, and then, perhaps, an expensive, brand new car on credit because that’s our collective sign of success. Let’s not! Let’s buy perfectly decent used cars, get our wardrobes from thrift stores (all my cashmere has come from thrift stores), and spend more on the most important thing: healthy food, produced ethically and sustainably. “How do we create and proliferate a compelling vision of economies and ecologies that center humans and the natural world over the accumulation of material?” (Adrienne Maree Brown, Emergent Strategy). “Refuse what you do not need; reduce what you do need; reuse what you consume; recycle what you cannot refuse, reduce, or reuse; and rot the rest.” (Bea Johnson, Zero Waste Home). Not everyone can afford to make these choices. Not everyone can afford food, period. 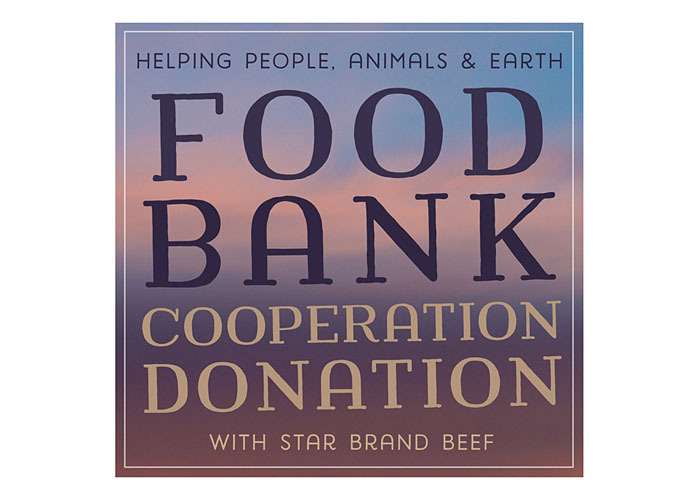 Which leads me to my latest venture, another small act of emergent strategy: a collaboration between Star Brand Beef, The Food Bank of the Rockies, and, if you’re interested, you. I donate beef every year, personally, but believe that together, we can donate even more to those in need and keep even more animals from entering the feedlot system, and I’ve teamed up with The Food Bank of the Rockies so that YOU get the tax deductions. We all need healthy, nourishing food and I believe we all deserve it. And it’s getting harder to procure, especially in certain areas like food deserts. Healthy, organic food is generally more expensive, and I have a really hard time with the fact that one’s socioeconomic status determines the quality of food available. The healthiest (and most sustainably produced) food should not be exclusive to the economically-advantaged. How this works: Donations will be collected and pooled to buy humanely-raised, organic, grass-finished beef from Star Brand Beef at wholesale (more beef for your buck). That beef is donated to The Food Bank of The Rockies in YOUR names. I will provide The Food Bank of The Rockies with a spreadsheet of donations received (which will include your names and addresses) and The Food Bank of The Rockies will then send YOU your own, personalized 501(c)3 charitable donation paperwork in the amount of your donation for the 2018 tax year. To contribute, click HERE. You’ll see a drop-down menu of options – every amount makes a difference. Thank you so much for joining me in this venture in whatever way you feel called. I look forward to reading your thoughts……. And now stay tuned for our regularly scheduled programming: Part V of The Long and Winding and Beautiful and Tragic Story of 3M is here.